Trying to slow an opioid epidemic that killed over 3,000 people last year, Ohio's Governor and the state’s health department have introduced new rules to limit doctors prescribing pain medications to seven days for adults, and no more than five days for minors. "We all need to stick our noses into somebody else's business," Ohio Governor John Kasich told reporters on Thursday, according to WNBC. Kasich said the new rules require doctors to provide a specific diagnosis and procedure for every painkiller prescription they write. If doctors don’t follow the rules, they will lose their licenses. "You're going to have to abide by these rules," he said. Health care providers can prescribe opiates above the new limits to patients experiencing acute pain, but only if they provide a specific reason in a patient’s medical record. The limits also don’t apply to cancer, hospice or addiction patients. Officials say the new prescribing limits could reduce the number of addictive pills dispensed in Ohio by 109 million annually. The state is investing nearly $1 billion in fighting the opioid epidemic. Republican lawmakers are considering legislation that would also limit prescribing, and Ohio Attorney General Mike DeWine announced a $3.5 million program intended to help the growing number of children taken into state custody because of their parents’ addiction, according to AP. Nearly 2 million Americans aged 12 and older have a substance use disorder involving prescription opioids, according to federal data. The medications also can provide a gateway to heroin, according to the National Institute on Drug Abuse, which has reported that nearly half of young heroin users state that they had misused prescription opioids first. Placing limits on doctor prescribing painkillers has already been adopted in other states. Massachusetts limits first-time painkiller prescriptions to 7 days. Other states that have passed laws with prescribing limits within the last year include Connecticut, Maine, New York, Rhode Island, and Vermont. In Maine, the original limit proposed by Governor Paul LePage in March was shorter – 3 days for acute pain and 15 days for chronic pain – than that which was ultimately passed. After pushback by the Maine Medical Association for more flexibility, the finalized law set an outside limit of 7 days for acute pain and 30 days for chronic pain, beginning in January 2017. The 7-day limit aligns with the recent CDC guidelines for primary care practitioners. More than 7 days “will rarely be needed,” they wrote in the March 15 Morbidity and Mortality Weekly Report. On Wednesday, President Donald Trump signed an executive order establishing a commission on combating drug addiction and the opioid crisis. It will be chaired by New Jersey Governor Chris Christie and will study ways to combat the epidemic which has been responsible for more than 50,000 deaths in 2015. The White House commission announcement comes on the back on rising heroin-related deaths in the US. The National Center for Health Statistics (NCHS) released new data in February on nationwide overdose-related deaths are increasing at a rapid pace. According to the date fatalities jumped from 38,329 in 2010 to 47,055 in 2014, then to 52,404 by 2015, marking a 27 percent increase in just five years. Heroin deaths quadrupled in that time period, going from 3,036 in 2010, an 8 percent share of all overdose-related deaths, to 12,989 in 2015, a 24.3 percent share of all overdose-involved fatalities, the NCHS found. Rich Hamburg, executive vice president of Trust for America's Health, connected the high rates of heroin use and subsequent overdoses to the drug's low cost compared with prescription opioids. "You are 40 times more likely to use heroin if you started with opioid painkillers," Hamburg said, according to Reuters. 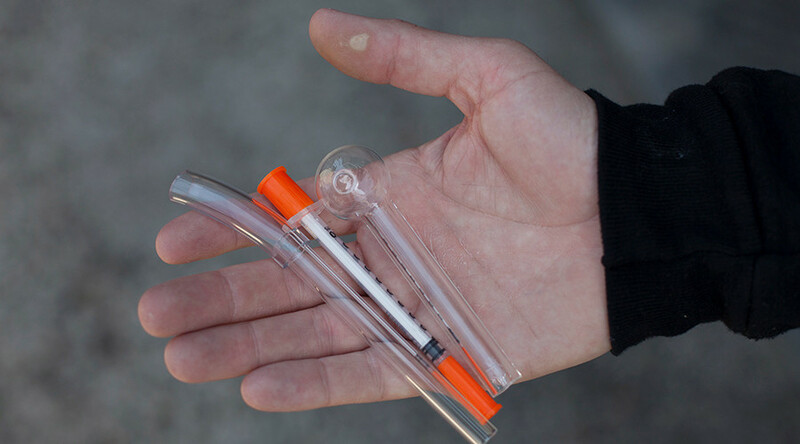 "Heroin is part of America's larger drug abuse problem."